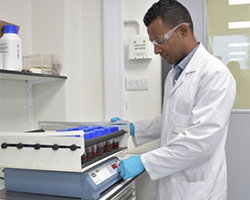 Dycem has a range of stability and safety products designed to improve accuracy and precision in your lab environment. Dycem products provide a simple, effective solution to holding objects in place, reducing movement, spillage and accidental breakage. 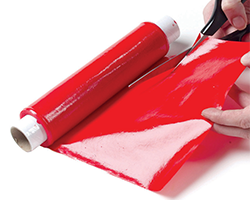 Available in a range of sizes, shapes and colours, Dycem can be used in a variety of settings. Help to achieve more accurate results. 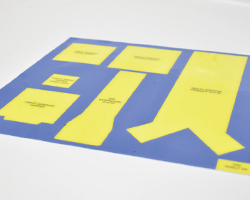 Dycem have a range of mats that offer superb safety and anti-slip properties ideal for use where spillage or damage can occur. Whether it’s beneath a vortex mixer, balance or microscope Dycem will provide a safe and secure base. The Dycem reels are available in a range of size and colour options and can easily be cut to size to suit the application. The Dycem reels are Ideal for use on top of orbital shakers and lab trays to prevent sliding and breakage. 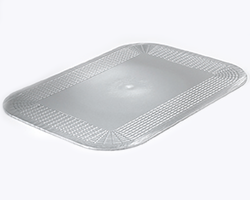 Dycem offers a range of moulded products designed to assist with opening stubborn bottles, flasks and container lids. Dycem Lab Safety openers allow easy opening and closing of glass vials and help to reduce breakage. Dycem has a range of self-adhesive discs, panels and strips designed to provide a safe and secure base for laboratory equipment. 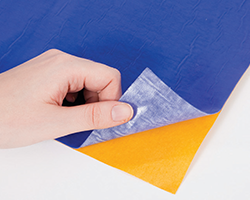 Dycem strips can be wrapped around pipettes, pens or bottles to improve grip and safety. 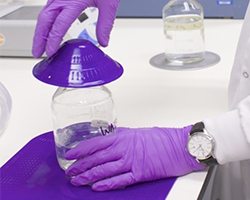 Dycem Lab Safety products can be tailor made to suit your laboratory environment and processes. Dycem can customise your Lab Safety products to include a bespoke message or template for technicians. We are looking for distribution partners.